"I think we forget that some things just haven't been done yet – I've been finding that a lot ever since I stepped into the geobiology world," Welander said. "There are so many questions out there that we just need the basic knowledge of, such as, 'What is the protein that's doing this? Does this membrane structure really do what we're saying it does?'" Archaea are sometimes called the "third domain of life," with one domain being bacteria and the other being a group that includes plants and animals – collectively known as eukaryotes. Archaea includes some of the oldest, most abundant lifeforms on the planet, without which the ecosystem would collapse. Archaea are particularly anomalous microbes, confused with bacteria one day and likened to plants or animals the next because of their unique molecular structures. 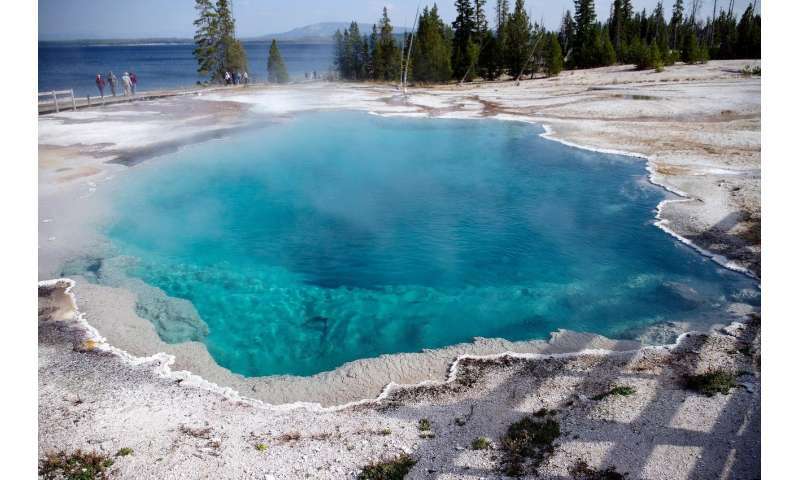 "There are certain things about archaea that are different, like the lipids," Welander said. "Archaea are a big area of research now because they are this different domain that we want to study, and understand – and they're really cool."